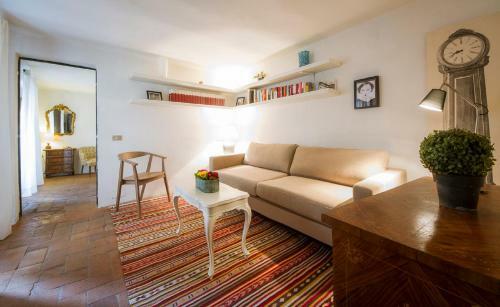 Vanina Apartment is located in Florence, an 8-minute walk from Pitti Palace, 0.8 miles from Santa Maria Novella, and a 16-minute walk from Strozzi Palace. 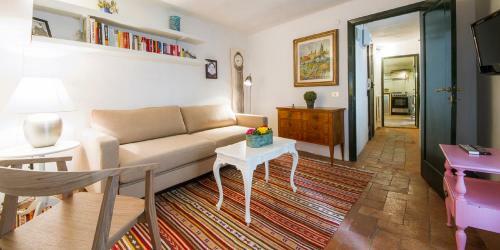 The apartment is 1.1 miles from Cathedral of Santa Maria del Fiore. Including 1 bedroom, this air-conditioned apartment features 1 bathroom with a bidet and a shower. There's a seating area and a kitchen complete with a dishwasher and an oven. 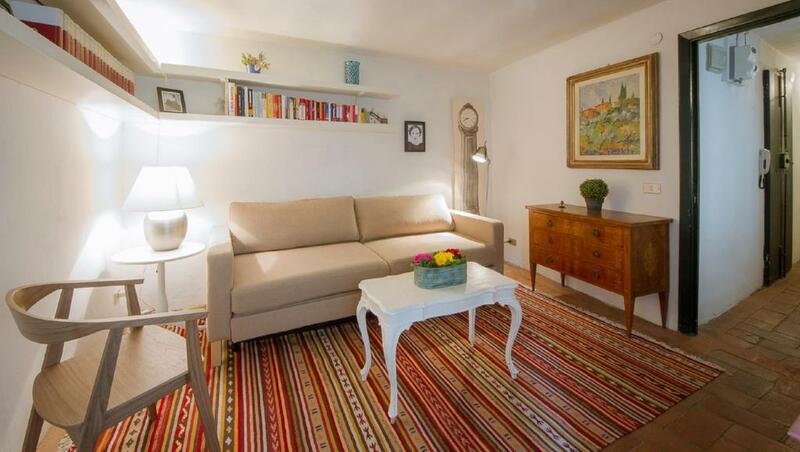 Piazza del Duomo, Florence is 1.1 miles from Vanina Apartment. The nearest airport is Peretola Airport, 6 miles from the accommodation. When would you like to stay at Vanina Apartment? This apartment has a electric kettle, seating area and tile/marble floor. Public parking is available at a location nearby (reservation is not possible) and costs EUR 30 per hour. Apartment with 1 bedroom, 1 bathroom This apartment is right next to Piazza Santo Spirito, in the heat of Santo Spirito neighborhood, the most authentic florentine area of the city center. It is 5 minutes walking stance from the Ponte Vecchio and The uffizi gallery and from 10 to 20 minutes walking distance from all the others main monuments and museums. On the first floor of a Historic building without elevator (20 steps to reach it) this apartment is 45 m2, it can accommodate 4 people (2 in the bedroom and 2 in the living room with the sofa bed). Fully equipped kitchen, bathroom with shower, Air conditioning in the bedroom and free Wi-Fi. Form the entrance to the left there is the living room, the bedroom and the bathroom. To the right you will find the kitchen and a little storage space with the wash and dry machine. 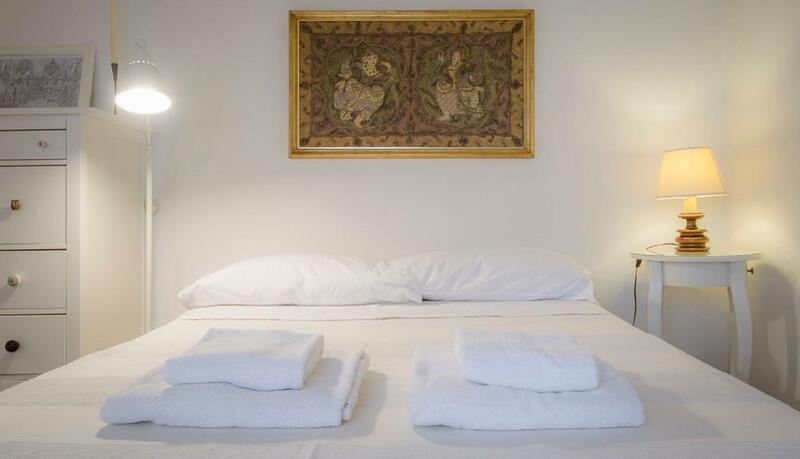 It is the perfect place to stay if you want to experience the real Florence during your stay. My Name is Matias, I was born and raised in Florence. I worked a few years in a tourist rental agency, then, after traveling around Europe and the World (just a part of it),I decided to come back to my city and I started managing apartments on behalf of the owners. With the help of my coworkers and the experience we know what it is need to ensure you a perfect stay in the city. You will have a wonderful and private experience, but we will be always available in case you will need it, not only for emergencies, but also simply if you’ll need advice or any kind of tip about Florence. Placed in the Oltrarno neighborhood (Whic means on the other side of the Arno River, the side opposite of the river to the Duomo) , the boho-chic neighbourhood of Santo Spirito is Florence’s most captivating quartiere and one of the last corners of the city where you can still breathe an air of ‘vecchia Firenze’. At its heart lies Piazza Santo Spirito, setting for the city’s most recognisable church façade, a small daily market and a buzzy nightlife scene; the terraces of its restaurants and bars make great spots for people watching. House Rules Vanina Apartment takes special requests – add in the next step! Check-in from 20:00 until 22:00 costs EUR 20. Check-in from 22:00 until 00:00 costs EUR 40. Check-in from 00:00 until 01:00 costs EUR 60. Please inform Vanina Apartment of your expected arrival time in advance. You can use the Special Requests box when booking, or contact the property directly using the contact details in your confirmation. We need at least 5 reviews before we can calculate a review score. If you book and review your stay, you can help Vanina Apartment meet this goal. The bed squeaks at every little movement and the couch is not very comfortable. I suggest they have to be replaced promptly. Better internet connection and TV whould have been appriciated. Mathias and Matteo are very welcoming and clear, smooth check in and out, we got useful suggestions and info about nice places to eat and chill out. The flat is functional and well furnished (a part from the bed). San frediano neighburhood is still quite authentic and very charming.